A very practical and useful walking umbrella. The ash derby handle offers excellent support, and is mounted on an aluminium shaft. The umbrella canopy is an attractive cream, brown and dark blue check, suitable for use in the town or the country. The framework is made from carbon fibre. This walking umbrella is popular with those who need a walking stick for balance and support but prefer for reasons of personal appearance to be seen with an umbrella. The overall height of the umbrella is adjustable between 89-97cm (approximately 35"-38"). The canopy diameter is 100cm (39.5"). 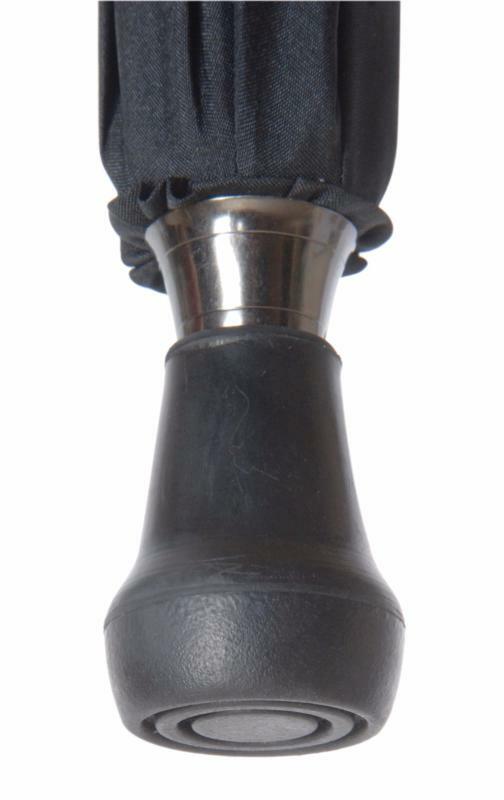 The walking umbrella is fitted with a non-slip rubber ferrule. Ferrule diameter 13mm. Item weight is 520g.